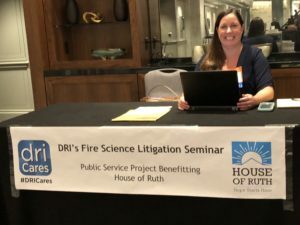 Lynne Ingram presented at DRI Fire Science Seminar and organized #DRICares service project benefiting House of Ruth – Campbell Conroy & O'Neil, P.C. 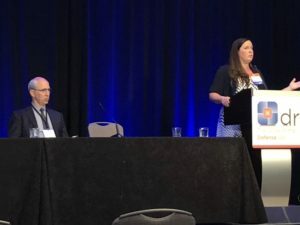 Campbell Campbell Edwards & Conroy proudly announces that Lynne Ingram was on the faculty for DRI’s Fire Science and Litigation Seminar in Washington, D.C. last week, and co-presented with Dr. Harri Kytomaa of Exponent on “Investigating Burn Injuries.” During the Seminar, Lynne also ran a public service project, collecting wish list items and monetary donations for House of Ruth. Founded in 1976, House of Ruth has been helping women, children, and families in D.C. who are recovering from lifetimes of traumatic abuse.